Three best off-beat destinations in Karnataka. “One state many worlds”- The caption aptly describes the vibrant state of Karnataka. It has a lot to offer from the luxurious retreats in the verdant coffee estates of Chikmangluru to the royalty of the Maharaja Palace in Mysuru. If you are looking to go beyond the crowds of popular destinations, you have come to the perfect place. Here are a few places that showcase the rustic charm of the state. Located near the Chramadi Ghat area of The Western Ghats, these waterfalls won’t fail impress even the most seasoned travellers. The view is so dreamy that one has to pinch themselves to come back to reality. The falls are located near Didupe, a small farming village about eight-hours from Bangalore. From here, Didupe Falls is an easy and refreshing trek through gushing streams. Ermai Falls is also trekkable from the village. Ermai is a series of nine stunning waterfalls stacked one above the other. One can trek through mushy green trails to each of the nine scenic falls and take a dip in their pristine waters. Hiking from one clearing to the next while being entranced by the continuous echo of the falls is an experience unlike any other. One can also experience the authentic tastes of this region, as the farmers in this village will be your host. Madventures along with the lovely folks have curated a unique experience here. The video below is a small peak into The Didupe Experience. Agumbe, is another farming village amidst the Western Ghats. It is popular for various reasons.This is the home to the largest population of king cobras in the world. Renowned herpetologist, Dr Romulus Whitaker set up a field base here to continue his work on King Cobras more than a decade ago. “Maguldi Days” the popular TV show from the 90’s was also filmed here with the fictional name Malgudi. Agumbe is located in Shimoga district. 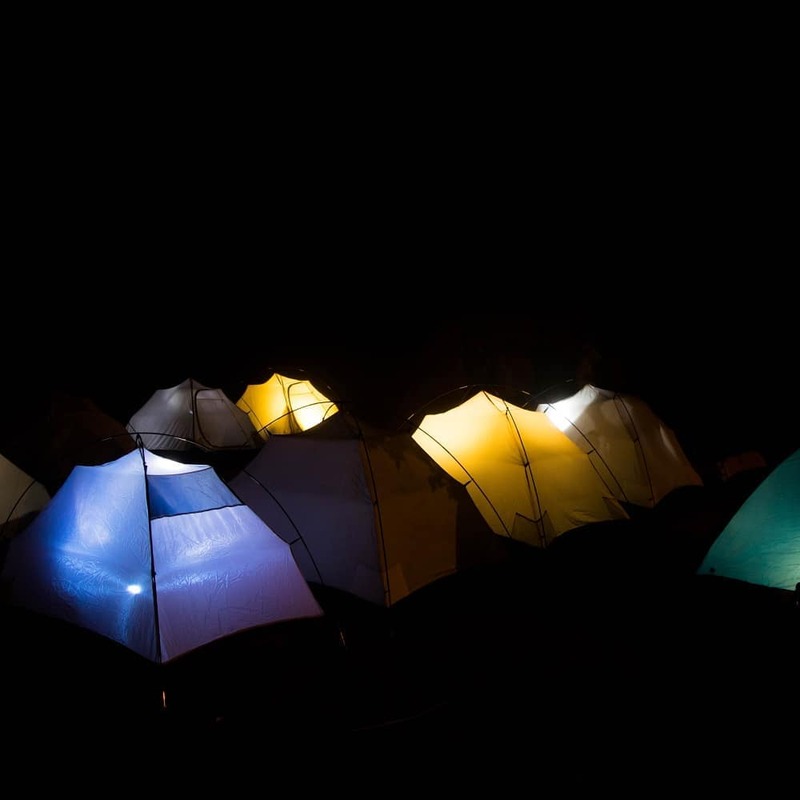 While working with the villagers here, we have curated another unique camping experience. One can get up close and personal with nature in the safety of the villagers’ yard. Delicious traditional malnad food is another highlight of the experience. 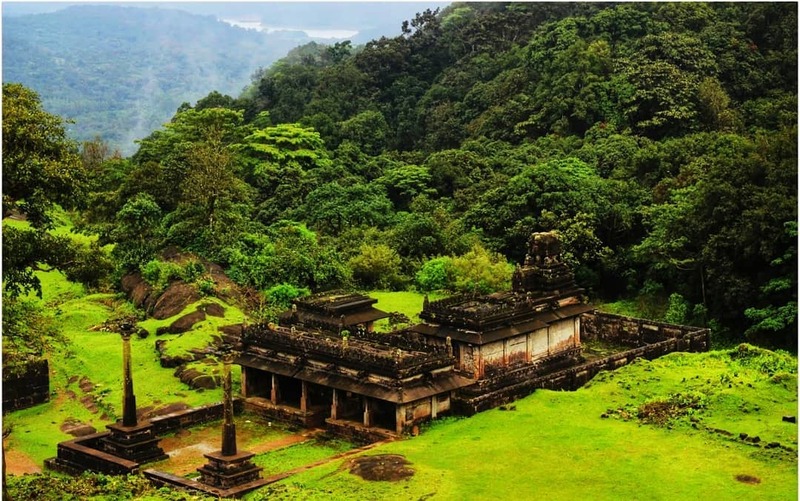 A 9th century fort and a picturesque Sunrise over the village of Agumbe are a few among the memories one takes back from this little village. Fishermen’s Boats from the local fishing village. Have you felt like going to a pristine beach, which is not overflowing with tourists? In that case, Nirvana is a dream come true. This secluded stretch along the cost of the Arabian sea is perfect if you want to avoid the clutter of Goa and Gokarna. White sand, shallow waters and tranquil sounds of the ocean is the best way to describe this piece of heaven. A Bollywood buff would certainly be reminded of the sets of movies like ‘Kaho Na Pyaar Hai’. We have curated a beach camping experience unlike any other on these shores. Trek along the shores and up a cliff to see a stunning sunset over an estuary and relax on the beach while the fishing boats sail toward the sun , now that’s Nirvana!